Fifty people in a virtual room all at the same time sounds like a recipe for chaos whichever way you look it, but evidently, it’s an upper limit that Skype is happy to go with. 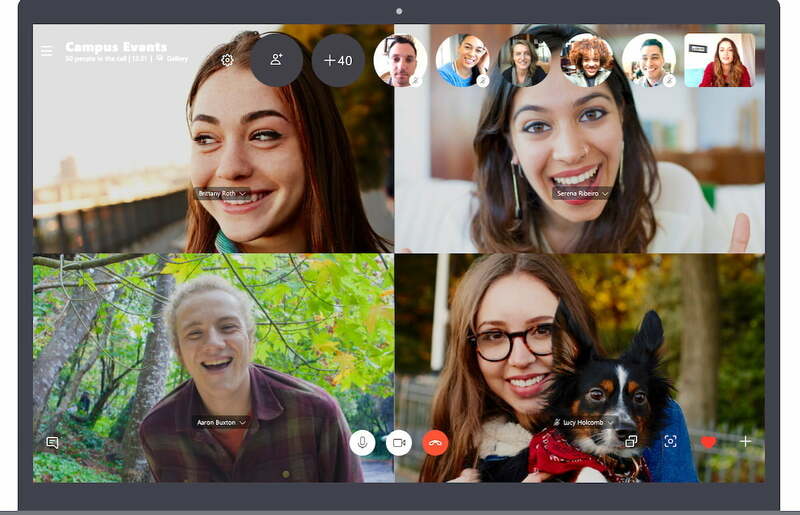 Following testing of the feature last month, the folks behind the Microsoft-owned video chat software have now increased the limit for group calls to 50 people, whether video or audio. The previous limit was 25. With the increase in the maximum number of participants now doubled, Skype has also made a few adjustments to how these larger calls start. For example, it’s added a notification to replace the ringing as the default way of getting in touch, allowing every member of the group to receive a quick ping to join the call. Skype describes the notifications as “a simple, unobtrusive way” to get calls and meetings started. In addition, if the notification for starting a call isn’t enough, it’s possible to select individual members to ring, or if your group comprises fewer than 25 people, you can simply ring the entire group. In terms of participant numbers, the update sees Skype leapfrog FaceTime for iOS and Mac, which can handle group chats of up to 32 people, though the likes of Google’s Meet and professional conferencing solutions such as Zoom let you crowd up to 100 people into a virtual room. To make use of Skype’s larger capacity for group calls, make sure you have the latest version of the software loaded on your Windows, Mac, or Linux machine. Skype has been showing a lot of love to its communications software recently. Built-in call recording has been added, as well as the option to blur the background for distraction-free video chats. Other new features include live captions and subtitles, HD video calls, and an updated notifications panel.